Found on a walk. Don't know what to make of this. 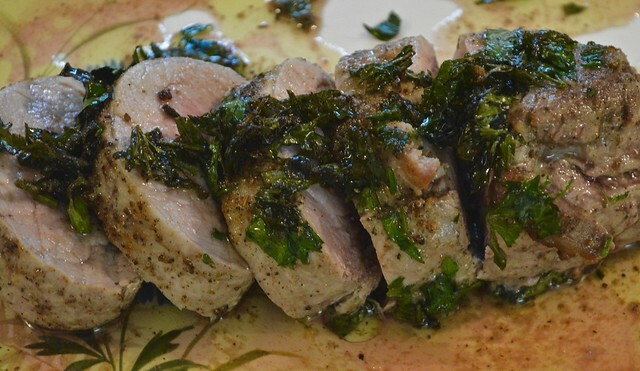 Sometimes I like to cook a nice meal for a change; this is a tenderloin pork roast, done up in olive oil and herbs from my garden. 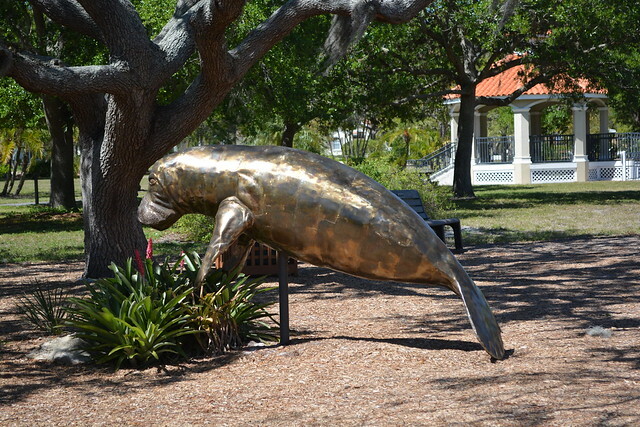 Manatee sculpture in Florida park. 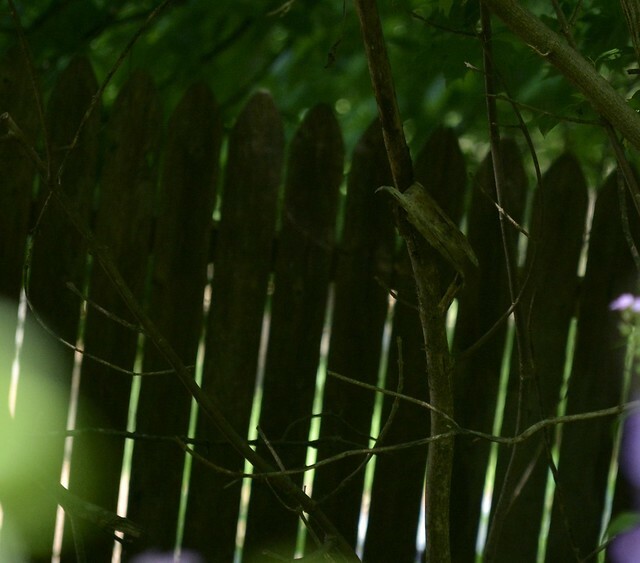 There must have been a house here in the woods, all that is left is this fence. A bit different find on my walk. Hi Benni !! 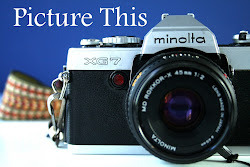 Great shots for this week's theme . Yes, that first shot does make you wonder. 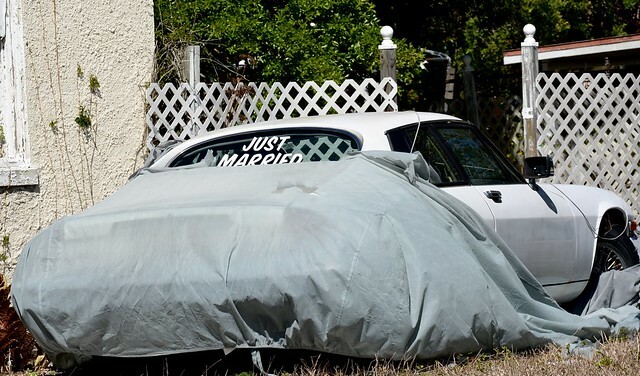 Perhaps trying to keep the marriage quiet....or maybe even that the car was stolen!! That pork loin looks delicious!! It's made me feel quite hungry!! I know that the sculpture is an accurate representation of a Manatee, but there's still something odd-looking about it I can't quite put my finger on. The final shot is also an oddity.....makes me wonder how the fence is still there when the house, presumably made of sterner stuff, isn't!! Maybe they will use it again. Wow! Interesting shots! Especially that first one. Maybe the car died, but hopefully there love is still keeping them going! The roast looks delicious and it makes a very pretty picture. I like the Manatee. I have a picture also of a Manatee sculpture from near Cocoa Beach. How strange to find a fence in the middle of nowhere. I wonder if it could be surrounding an old cemetery?